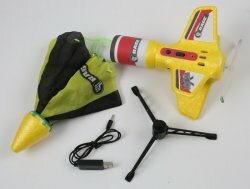 The Spinner Missile X EP Rocket is a simple, safe, and convenient way to enjoy hours of fun. 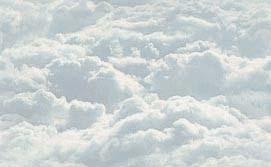 Create a personal space program by launching a model rocket into the sky! This unique battery-powered space missile gets its name from the way it "spins" off from the included launch pad on take-off and the "X-tra" power provided by the larger motor and prop. Once flown to heights up to 150 feet, the nose cone opens, and a colorful nylon parachute ejects to provide gentle landings and optimum visibility as the missile descends. Best of all, the Spinner Missile X is powered by a rechargeable battery, so no dangerous materials are used during lift-off or flight. A single battery charge provides up to 40 launches, while the impact-resistant EPP foam missile is made to withstand hundreds of missions! 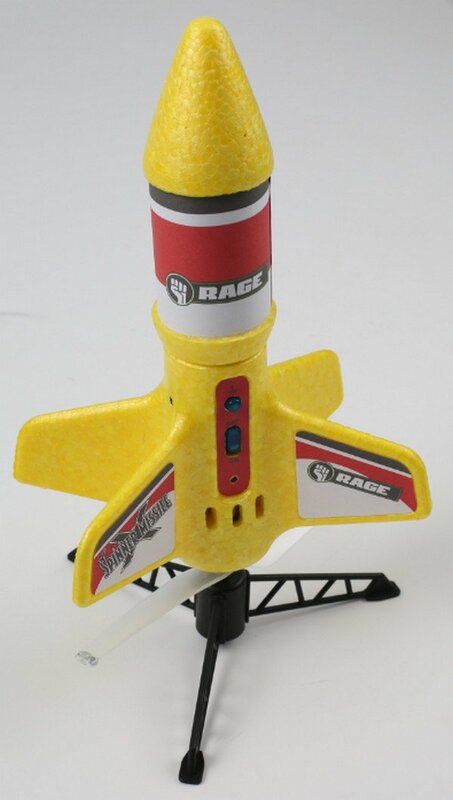 The Spinner Missile X is an RTF (Ready-To-Fly) model rocket, so it comes with everything needed to begin nearly unlimited outdoor launches. Inside the box is an attractively designed rocket with pre-applied graphics, a clear safety propeller that comes attached to the airframe, a convenient USB charger for the pre-installed battery, a brightly colored parachute, and even its own launch pad. Simply charge the Spinner Missile X, find an open outdoor space, and countdown the launch sequence within minutes of opening the box! 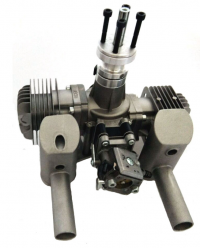 Single charge delivers up to 30 flights on Hi power and 40 flights on Low!